Eliminates the hassle and discomfort of wearing your competition rig while youre waiting to shoot. Unique, two-belt, competition-proven system has a nylon mesh, velcro-hook-faced Under-Belt that fits through your belt loops as required by U.S.P.S.A. and I.S.P.C. rules. The buckleless Outer-Belt is available in Safari-Laminate (028), 100% nylon (4350) or Contour (0282) with a nylon-look Porvair outer belt bonded to an inner core of genuine leather. Cut with a curved, body-conforming profile that distributes weight evenly around your waist. Outer belts are velcro-loop-lined to quickly and easily press on top of the Under-Belt, with your holster and accessories pre-attac Mfg: Safariland SPECS: 029 Nylon/Velcro Belt - Under-Belt available in black nylon only, 1 1/2'''' (3.8cm) wide. 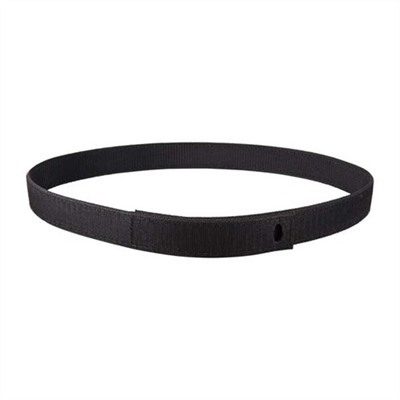 Buckleless Belt - Outer-Belt available in Safari-Laminate, black, basketweave (028) 100% nylon (4350) or (0282) Contour. 1 1/2'''' wide. Order one size larger than actual waist size.